Remember, the common traveler checks up to 4 providers to find the best airfares! “This Fourth, go forth” is the advice given by Continental Airlines to all its current and future passengers who haven’t yet made up their mind on where to spend this year’s 4th of July. 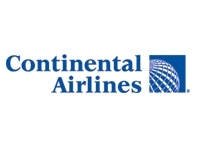 Continental is therefore listing some great round-trip deals, which connect a big number of US cities with historic destinations like Washington DC, Boston or Philadelphia. If you take a look at Continental’s low fares for July 4th, you will notice that most of these flights cost around 3-400 $, provided you book them on line at continental.com (should you consider purchasing the ticket from an agent or by telephone, get ready to pay some extra $50 for ticket printing). Some of the cheapest routes are those connecting Cleveland with Baltimore (only $148 a round trip) or Charlotte to Philadelphia ($218), but fares can go as high as $556 for a flight form Austin to Washington and back. So get ready to party and see the best 4th of July firework show ever! This entry was posted on Thursday, June 3rd, 2010 at 4:43 am and is filed under Airfare Deals. You can follow any responses to this entry through the RSS 2.0 feed. You can leave a response, or trackback from your own site.